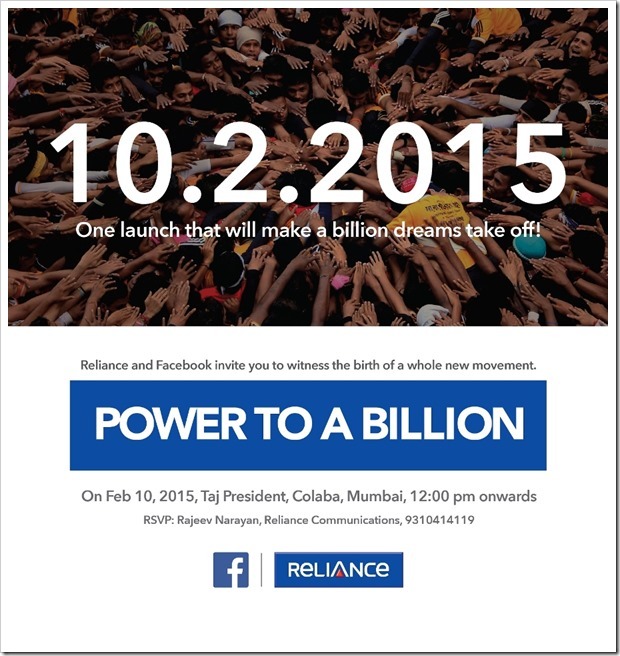 As expected, Reliance Communication today announced their partnership with Facebook’s Internet.org initiative. The internet.org app will offer access to over 38 services (websites) completely free of cost. Reliance Communication customers in six Indian states (Tamil Nadu, Maharashtra, Andhra Pradesh, Gujarat, Kerala, and Telangana) can access to more than three dozen services ranging from news, maternal health, travel, local jobs, sports, communication, and local government information. Visit Internet.org website from your Android phone using Opera Mini mobile web browser. You will need to use Android app UC browser for internet.org. Most of the services will be available in English, Hindi, Tamil, Telugu, Malayalam, Gujarati and Marathi. The press conference which is held tomorrow (10 February 2015) from 12 noon onwards, at Hotel Taj Vivanta, Mumbai, is to be jointly hosted by Reliance Communications and Facebook. Also, the Senior Global Leadership Teams from RCOM and Facebook will be personally present at the event venue to share details of the announcement. Here is the invitation. We tried accessing internet.org on our idea network, however, we did not get any such message and currently the url is redirected to their normal website. We tried getting in touch with Reliance to get confirmation, however, they were not forthcoming with any information. Why RCOM + Internet.org may be a Hit! While Facebook and Reliance Communication are both going to derive huge benefit out of this, the users also stand to benefit a lot from this. For RCom: In our view Reliance Communication will obviously garner hordes of new subscribers with this initiative. If they offer free internet access for Facebook and few other prominent websites, people will not mind switching from their existing providers to Reliance. For Facebook: Internet.org is a Facebook initiative and for users accessing internet through this initiative, Facebook will become their gateway to internet. Facebook’s next growth phase is going to come from countries like India, where there are still hundreds of millions of people yet to get taste of internet. For them, through this initiative, Facebook will be the defacto platform they will access! For users: Obviously the users stand to benefit because they will get Facebook access along with some prominent other websites for free! We will update this post with details from the event tomorrow! "RCom Internet.org App Will Offer Free Access To 38 Websites Including Facebook [Updated]", 5 out of 5 based on 1 ratings. It will develop india for sure.. I will appreciate it if i get some basic services free!! plz. activet in rajasthan circle r.com./internet.org. n any other daily uses …. That’s wonderful! Communication made simple! it is a great job but, up east me ye kab start hoga…..
its going to be biggest mistake of Facebook ever. I’m gonna hate fb & reliance forever. The big corporate houses are about to kill the internet in the process of making a fast buck. The poor customers ( the people at large) always fall prey to these preadators. Why internet.org is not use in up east . is this service available on windows phones???? Is it coming for d windows phone?? That’s a great move. Most of the indians will start using internet by this initiative. Haha Mukesh…good point…however, this can be accessed only through their internet.org app! Seems RCom is planning something big with the power of biggest social network, thanks for sharing the invitation you got. Hope to see more updates directly from the event, tomorrow.